This review is part of B00kR3vi3ws review. As a child, Biddu dreamt of going west and making it big as a composer. At the age of sixteen, he formed a band and started playing in a cafe in Bangalore, his home town, At eighteen, he was part of a popular act at Trinca’s, a nightclub in Calcutta devoted to food, wine and music, At nineteen, he had college students in Bombay dancing to his music. In his early twenties, he left the country and ended up hitchhiking across the Middle East before arriving in London with only the clothes on his back and his trusty guitar. What followed were years of hardship and struggle but also great music and gathering fame. From the nine million selling “Kung Fu Fighting” to the iconic youth anthem of “Made in India” and the numerous hits in between. Biddu’s music made him a household name in India and elsewhere. I am not a big fan of autobiographies and avoid them unless I am really intrigued or impressed by the celebrity/person. But when B00kR3vi3ws, presented this chance of reviewing the book about someone, whose songs I love to listen time and again, I couldn’t resist the chance. ‘Made In India’, though an autobiography, reads like a work of fiction. In most of the memoirs or such kind of works the main events, influencing the life of the author, are described randomly. In this saga, I enjoyed the chronological order of events presented. Author knew what he wanted even when he was just a child and his entire life is driven by his one and only love and that is ‘music’. It was a revelation to read that passion and tenacity, along with talent, really pays in the long run. Author in the preface mentioned something about ‘I’, ‘me’ and ‘my’, but nowhere I could find the ego of a great artist influencing the narration of events. In fact the author’s humility and simplicity is felt throughout his life’s journey. The above line adequately sums up the artist we know as Biddu. There are not many people who have been able to scale the heights which he has achieved. He had left India, armed with a guitar and three pounds in his pocket. What guts! It was really an adventure to read the journey from Bangalore to Basra to Beirut to Paris and finally London. The language is very engaging, no where the pace lags, it was like reading a thriller. Nothing is out of context and everything adds to the adventure of a lifetime. I salute a great artist and music composer, whose famous Hindi songs are, ‘Aap Jaisa Koi’ and of course the title song with Alisha Chinai ‘Made In India’ which also made Milind Soman, the model, a household name. And I am also very happy to state that I am one of the million buyers, who bought ‘Disco Deewane’ album in Nazia Hassan’s voice. And insightful engaging read, I highly recommend this autobiography to all and everyone. 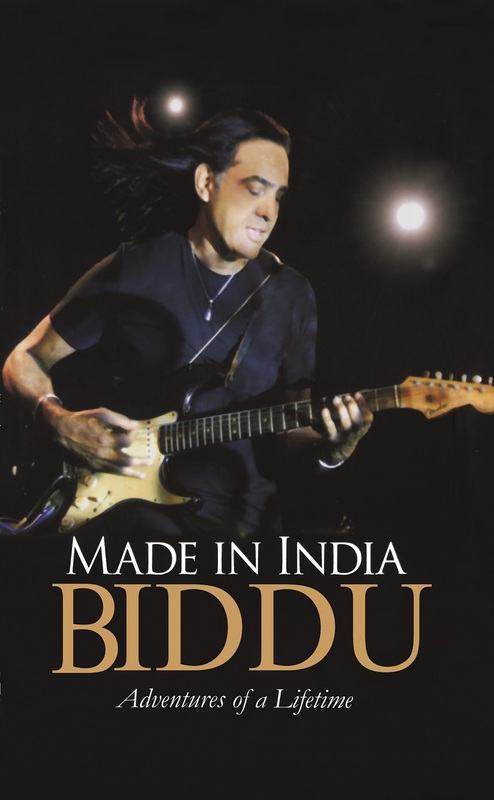 Biddu was born in India, where he started his career playing in a pop band whose influences lay in the classic repertoire of the Beatles and the Rolling Stones. Following his early success, he decided to hear West and move into the international music arena. He struck gold, signing the unknown Carl Douglas and producing “Kung Fu Fighting?” which went on to become a hit all over the world. He also wrote and produced hits for Tina Charles and soul legend Jimmy James. Around this time, Biddu became involved in Indian music: he composed the cult “Aap Jaise Koi” for the film Qurbani which set a new landmark for sales in India He followed this up with a pop album, Disco Deewane, with Nazia Hassan, which became the largest selling pop album in Asian history, and was the first Indian album to hit the charts in fourteen countries. In 1995, Biddu wrote and produced the three-million-selling album Made in India with the singer Alisha Chinai. 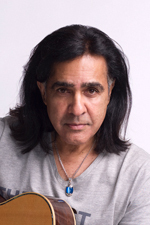 To date, Biddu has sold over thirty-eight million records worldwide.